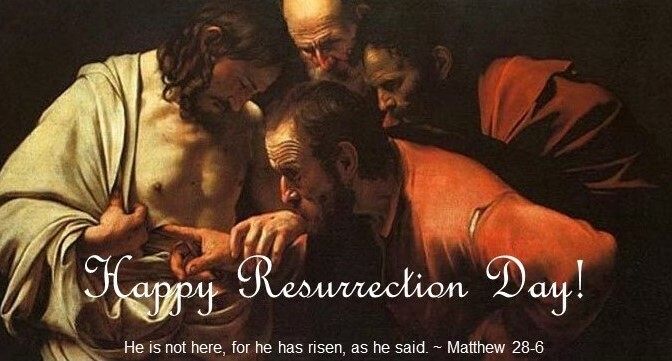 Resurrection Day – He Has Risen! (Josh Buice – Delivered By Grace) As we prepare to celebrate the resurrection of Jesus—we must remember that the resurrection of Jesus is the high point of Christian theology. Why did the chief priests and the religious community of the Jews try to cover up the resurrection of Jesus (see Matt. 28:11-15)? The truth is—out of all of Jesus’ miracles—from the creation of the world (Col. 1:15-16) to the virgin birth (Is. 7:14; Matt. 1:21)—there is no miracle greater than the resurrection that occurred after the brutal Roman crucifixion (Matt. 28:1-10). The resurrection of Jesus stands at the center of Christian theology and points to the validity of all of Jesus’ teachings. If Jesus was not resurrected on the first day of the week (Sunday) after his crucifixion—his prophecy in Matthew 12:40 and John 2:19 would not have been true.